home.events. Otel Varietè Firenze.APERICENA AND DISCO - "AperiChic"
APERICENA AND DISCO - "AperiChic"
Location: Otel Varietè Firenze , ... There's a reason! 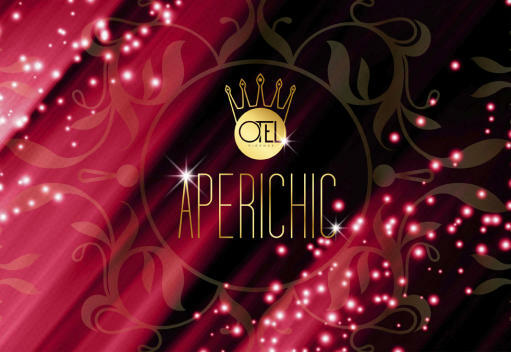 Sunday Otel is "AperiChic" evening, aperitif with buffet, and after disco. The Otel is the largest restaurant in Florence, and is both a restaurant and a disco. Less than a minute from the exit of Florence south. The restaurant has ample parking, free. Entry to the disco is already included in all the formulas below. Exclusive table with bottle service, from 23.30 onwards: € 30 per person, which are valid as a credit for bottles at the table of spirits / champagne starting from € 180. On reservation. Background music during dinner. Commercial music for the disco. Every month on the stage of Otel will perform a famous guest from the world of music.